Dr. Derek Marsee is a pathologist based in Sacramento, California. He has been in practice for the past 12 years. Dr. Marsee graduated from the Ohio State University College of Medicine. He completed his residency at the Brigham and Women's Hospital followed by two fellowship stages at the Beth Israel Deaconess Medical Center and the Brigham and Women's Hospital. Dr. Marsee is board-certified in three clinical areas: Anatomic Pathology, Hematology, and Dermatopathology. He has been active in the research field as well and he has contributed to multiple published studies. Some of the subjects he discussed in his publications include bone marrow biopsy, clonal plasma cells assaying techniques, follicular dendritic cells, and Podoplanin as a marker. 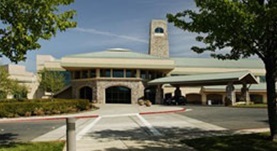 Dr. Marsee is licensed to practice medicine in California and Nevada. 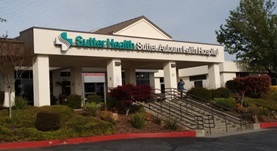 He is currently affiliated with the Sutter Roseville Medical Center, the Mercy General Hospital, and the Sutter Auburn Faith Hospital. Dr. Derek Marsee has contributed to 3 publications. CD71 (transferrin receptor): an effective marker for erythroid precursors in bone marrow biopsy specimens. Marsee, D.K., Pinkus, G.S., Yu, H.; Am J Clin Pathol. 2010 Sep. Single tube, six-color flow cytometric analysis is a sensitive and cost-effective technique for assaying clonal plasma cells. Marsee, D.K., Li, B., Dorfman, D.M. ; Am J Clin Pathol. 2010 May. Podoplanin (D2-40) is a highly effective marker of follicular dendritic cells. Marsee, D.K., Pinkus, G.S., Hornick, J.L. ; Appl Immunohistochem Mol Morphol. 2009-03-01.